Communication & knowledge is power… we rely on you, our editors, to communicate knowledge, thoughts and opinion to other Americans in hopes that we can grow, learn and build a stronger and truly free, powerful America. Use the “Search” tab to search articles by keyword or author. Apply now to become a FAN Editor. 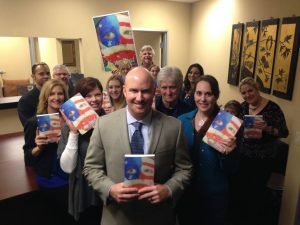 Businessman, author, deputy sheriff, husband, leader & American, Jason Kraus has made it his lifelong goal to make a difference in America. Making a difference starting with the corruption and abuse of power in America. Jason’s goal is simple, his position straight forward and his plan is written out and shared in his book, “Late Bird”.